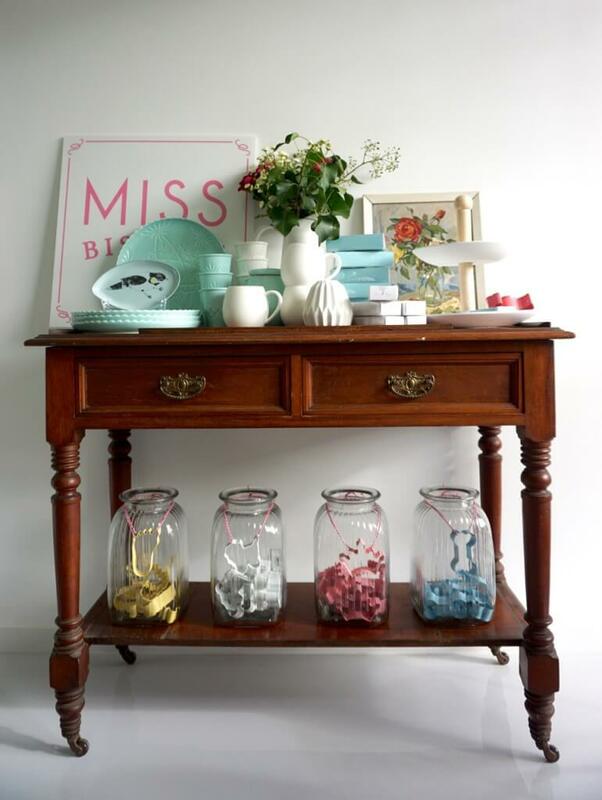 Miss Biscuit is a hugely successful Melbourne-based online business selling custom made iced biscuits and cookie and cake decorating supplies. Now the owner Julia Day has moved out of her home kitchen and set up a permanent shop in Charles Street Seddon. It’s simply gorgeous! 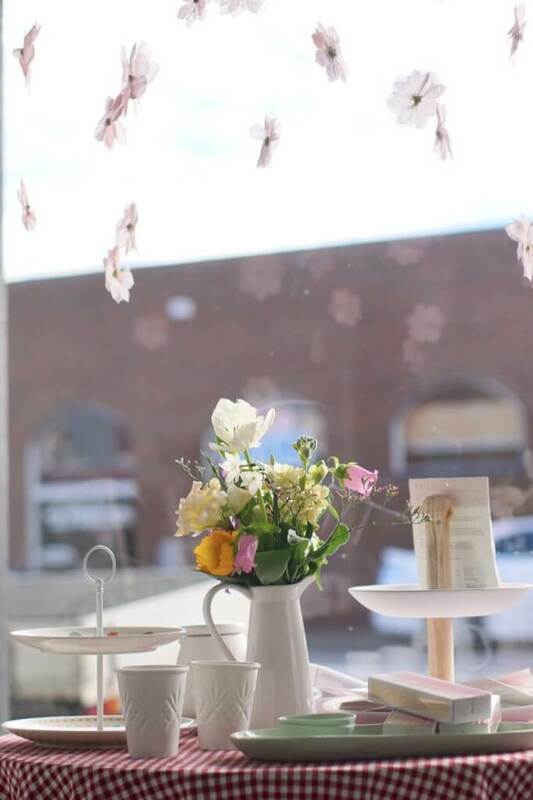 You’ll be able to to spot it by the pretty tea setting in the window. 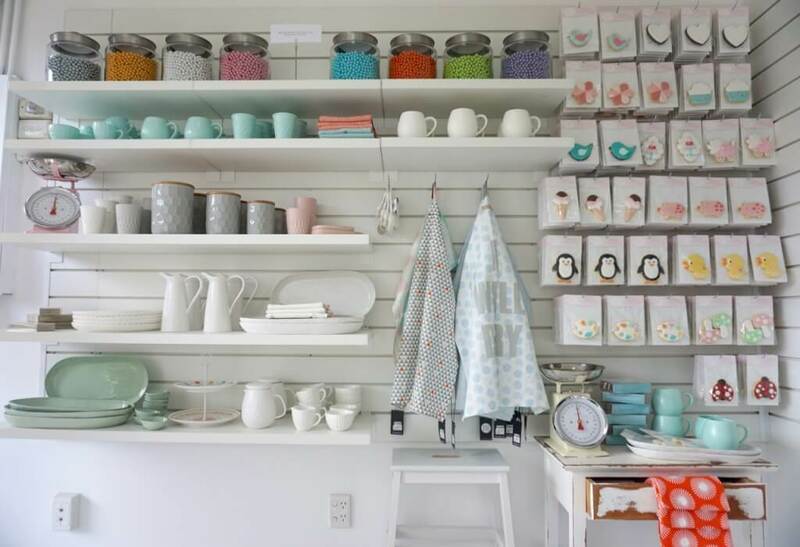 A drab accountant’s office has been transformed into a delightful shop full of sweet treats, all the cake and cookie decorating supplies you’ll ever need, a gallery of posh homewares in sorbet hues and workshop spaces. It’s a Martha Stewart dream-come-true! The shop is so photogenic I didn’t know where to start. 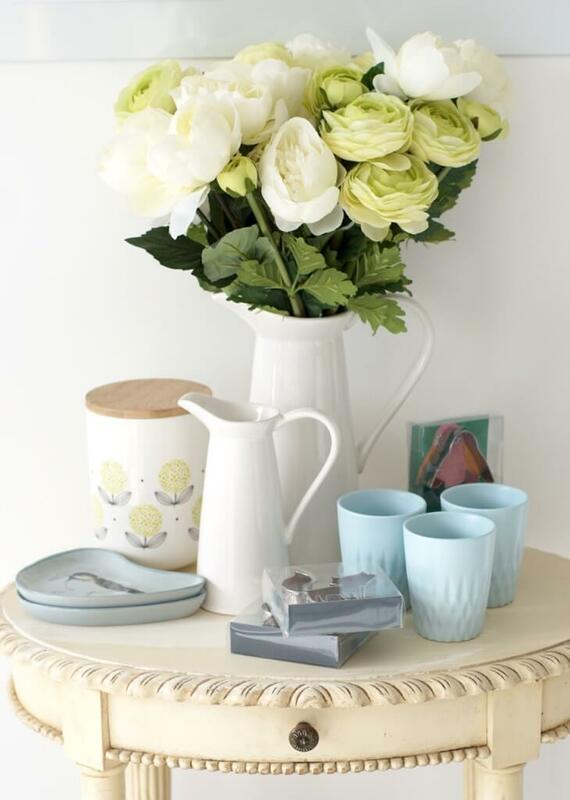 Check out the ceramic biscuit tins to pastel tea pots, retro scales to thick patterned tea towels. In the corner and behind the counter is a display of tempting decorated butter biscuits with adorable designs to suit every taste or occasion ($4.95 each). Then there’s an amazing back wall hundreds of cookie cutters with every shape of cookie cutter you can imagine. 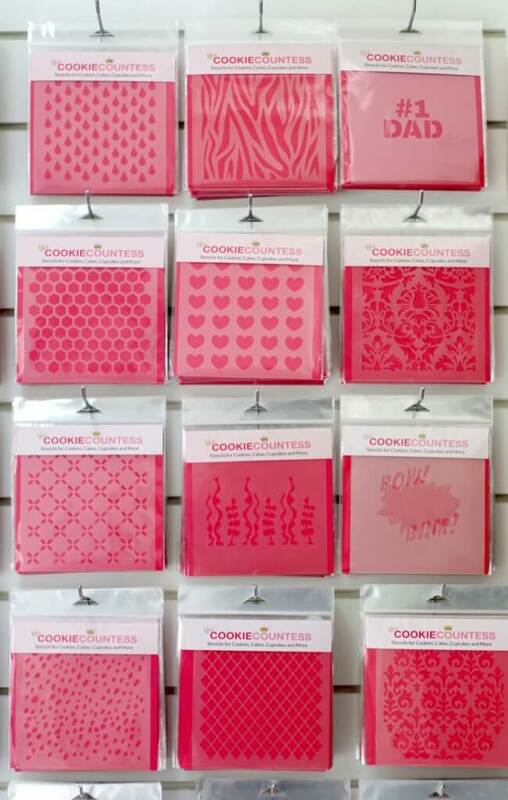 Plus stencils, tools, colours and ingredients. The magic all happens at the back of the shop, where a full time pastry chef makes all of the biscuits for sale and produces the custom orders. Downstairs there’s also a little party room which is still being completed – the plan is to hold children’s cookie decorating parties there. Upstairs there’s a sunlit workshop space where Julia and guest teachers will hold cake and cookie decorating workshops for adults and children. You can find the calendar of classes here. The large teaching space is also available to hire. Miss Biscuit is your one-stop shop for all your cake and cookie decorating needs and a dream home for sweet tooths!